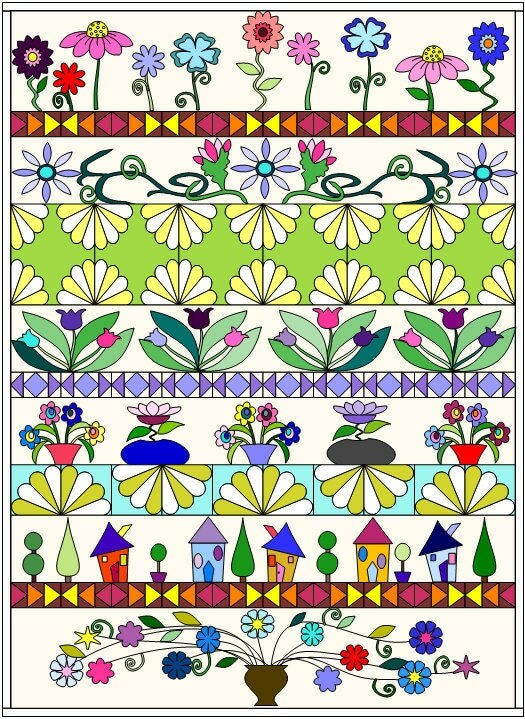 Please note this is the pattern for Row 4 Tip Toe Through the Tulips only (not the whole quilt). There will be 9 patterns available to make the quilt. The quilt is made using needle turn appliqué and hand and machine piecing however it can be completed using machine appliqué if you want.